What is the Plymouth Area League? This is an annual team competition between golf clubs in the Plymouth area and has two leagues, one with teams from South Devon (Staddon Heights, Boringdon Park, Yelverton, Tavistock, Elfordleigh and Wrangaton) and the other from East Cornwall (St Mellion, Lanhydrock, Whitsand Bay, Trethorne, Looe and China Fleet). The winners of the two leagues play each other in the final which is held on one of Brittany’s great courses. The competition has been established for very many years and owes it’s popularity to the team format which allows golfers of all handicaps to represent their Club in a prestigious competition, not just the “elite” players. Plymouth Golf Centre are proud to have been sponsors for many years, with Brittany Ferries Golf Desk, who together provide the main prize – the weekend away in France – with individual trophies for all the finalists. Southern Brittany and Golf l’Odet situated close to the town of Benodet played host to the 2016 PAL final between Whitsand Bay “Cornwall” & Boringdon Park “Devon”. 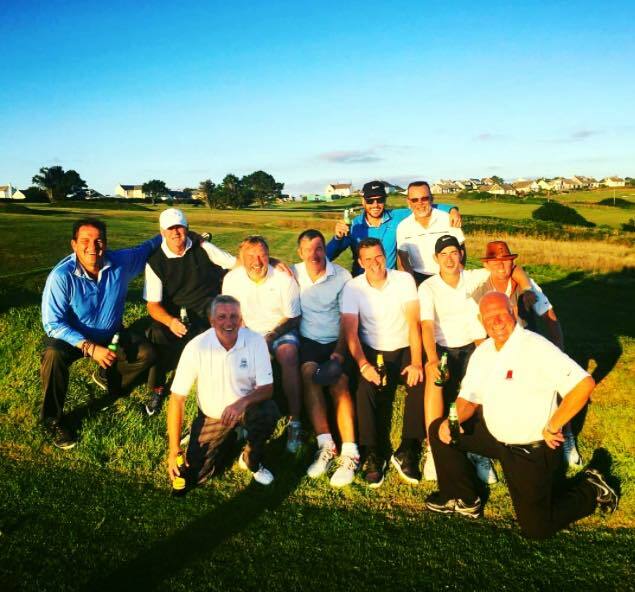 Congratulations to Whitsand Bay GC Team who were crowned The 2016 Plymouth Area League Champions after beating Boringdon Park GC in the Final over in Brittany. Big Shout to Team Boringdon Park who has also had a fantastic season. On paper Boringdon looked the stronger team with some very low handicaps in their line up, this advantage was soon overturned by the early pairs from Whitsand Bay a club that had never won the PAL. Boringdon made a spirited fight back with the middle order, it was then left to the Whitsand Bay tail to wag and deliver the much celebrated victory. A great achievement from Whitsand Bay, well done to all Team players and supporters. Special mention to Graham Ruth, Brittany Ferries / GTTS Golf and to John Spry of Plymouth Golf Centre for their continued support and sponsorship of the league; to all clubs, Team Captains and players throughout the season who have once again all helped to create yet another fantastic season of competitive team golf in Devon & Cornwall. We look forward to inviting you to The 2017 Final in France.